"old ties of love and friendship"
Friends/friendships are one of those things which bring both joy and the possibility of pain. I've been considering this as we travel and I don't have many "friends in the flesh." A young mom asked me about friendships with kids this week....and I shared, as an extrovert, I've worried about this aspect of military homeschooling. I came to believe that God knows exactly WHO my kids need in their lives and when. If they need BFFs at an assignment He will provide them. There have also been assignments when it seems God worked more on friendships within our family than outside our family. I believe God will provide the friendships I need as well. 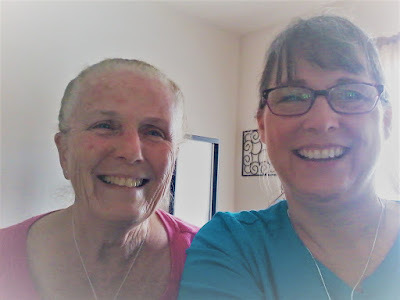 I have been perplexed to realize 90% of my friends are either decades younger or decades older than I. Michael says this is natural as mentoring is one of my passions. I am mentored and I mentor. BUT REALLY these are true blue friendships....loving peers...anyway I was blessed during our short time at Beale to spend time with some friends. I wish I could have seen so many more - but each of these visits were precious and left my emotional tank full. Is this not the cutest? 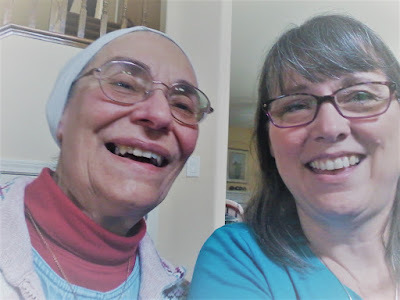 I took Stacia to visit a friend on Saturday and ran across town to catch up with Betty. I met Betty in the laundry room at Beale Fam Camp. She was encouraging and had great tips for me about living in an RV full time, transitioning to being a military retiree and the VA system. Joe, the love of Betty's life, passed away since I saw her last. She's had QUITE an adventure evacuating her new apartment with the flood threat of the Oroville Dam. Once again, I left Betty feeling refreshed. Stacia and her friend were out for a day on the town and so I was able to fit in an unexpected visit with Beverly, Maya's grandma. Beverly and Phil attended the chapel when we were there. They've had quite an interesting life and it is always encouraging to have time to sit and visit. We enjoyed relaxed, leisurely tea - my first since going on the road full time. Michael called Rob Christian, the pastor of the church we attended after we retired and before we left Yuba City. Last time we were in the area they were in Hawaii. It seemed wise to check. What a surprise to learn Rob and Michelle have resigned The Rivers. He is devoting more time to home and the Foursquare region - pastoring pastors. We met for dinner and had a great time catching up and sharing the "new" in our lives. I didn't take a photo. Friendships are a blessing from God. It was a GREAT day. #WYFF - Where's Your Feet Friday - is a hash tag sponsored by Fulltime Families. I thought it would be a fun way to get a quick look at our adventures. The photo - or collage - serves as the BLUF (Bottom Line Up Front) if you missed the story and would like to read it, click the link under the photo. For past #WYFF check the tabs.